Getting angry is not a sin, if you are righteously angry. We often get angry and mad over the most trivial things, myself included, and in those instances we are treading the line of sin closely. I suspect in many instances we cross right over that line into full blown sinful anger and damage our Christian testimony with others. Men, buy this book and take back your family from the destruction we have left behind. Women, buy this book for your husband after reading it yourself. 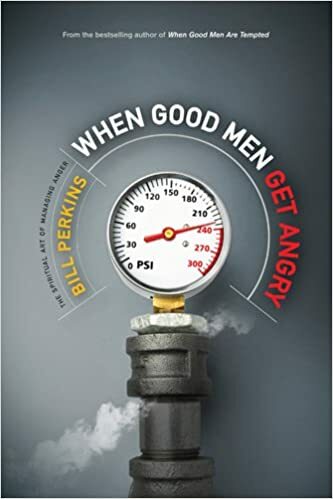 Because of this I want to recommend a book by Bill Perkins, When Good Men Get Angry. Men, we need to take back our lives, our families, and our love.